This one is for my DFW girls! 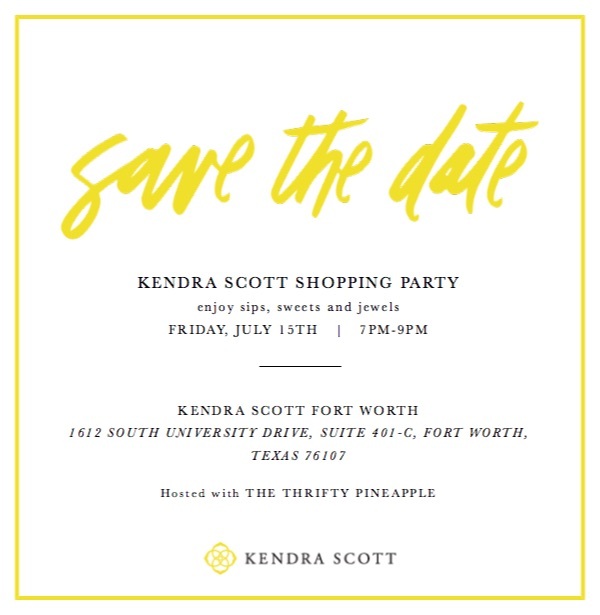 I am so excited to be hosting a private shopping party at Kendra Scott on July 15th (pay day!) from 7-9 pm. Kendra Scott releases their fall collection on July 13th, so get a first look of the new line on the 15th. There will complimentary champagne and cupcakes, along with a 15% off discount. It’s come and go so please pop by and say hey! I would love to see all my pineapples in person and who doesn’t love a good discount?